Raffaello Sanzio da Urbino, otherwise known as the famous Raphael, a master Italian painter with works displayed on the walls and ceilings of the Vatican, is the inspiration for the Sanzio line of 100% pewter doorbells, door handles, cabinet jewelry from Vicenza Designs. Large, round knobs are available in your choice of finish - Antique Brass, Antique Copper, Antique Gold, Antique Nickel, Antique Silver, Gunmetal, Oil-Rubbed Bronze, Polished Gold, Polished Nickel, Polished Silver, Satin Nickel and Vintage Pewter. Mounting hardware is included. 100% lead-free pewter. Handcrafted in the USA. Raffaello Sanzio da Urbino, otherwise known as the famous Raphael, a master Italian painter with works displayed on the walls and ceilings of the Vatican, is the inspiration for the Sanzio line of 100% pewter doorbells, door handles, cabinet jewelry from Vicenza Designs. Leather pulls are accented with a round pewter Sanzio design with lines and Beads. Choose black or brown leather in 3, 4, 5 or 6 inch lengths. Available finishes include Antique Brass, Antique Copper, Antique Gold, Antique Nickel, Antique Silver, Gunmetal, Oil-Rubbed Bronze, Polished Gold, Polished Nickel, Polished Silver, Satin Nickel and Vintage Pewter. Mounting hardware is included. 100% lead free pewter. Handcrafted in the USA. Raffaello Sanzio da Urbino, otherwise known as the famous Raphael, a master Italian painter with works displayed on the walls and ceilings of the Vatican, is the inspiration for the Sanzio line of 100% pewter doorbells, door handles, cabinet jewelry from Vicenza Designs. 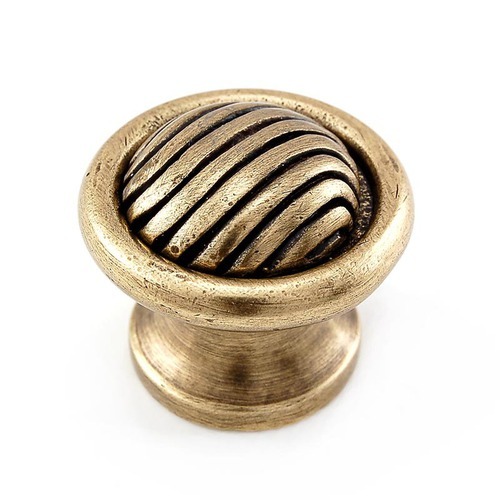 Finger pull knobs with wavy lines are available in your choice of finish - Antique Brass, Antique Copper, Antique Gold, Antique Nickel, Antique Silver, Gunmetal, Oil-Rubbed Bronze, Polished Gold, Polished Nickel, Polished Silver, Satin Nickel, Two-Tone and Vintage Pewter. Mounting hardware is included. 100% lead-free pewter. Handcrafted in the USA. Raffaello Sanzio da Urbino, otherwise known as the famous Raphael, a master Italian painter with works displayed on the walls and ceilings of the Vatican, is the inspiration for the Sanzio line of 100% pewter doorbells, door handles, cabinet jewelry from Vicenza Designs. Sanzio towel bars are available in 18, 24 and 30 inch lengths. Comes complete with installation hardware. Available in your choice finish - Antique Brass, Antique Copper, Antique Gold, Antique Nickel, Antique Silver, Gunmetal, Oil-Rubbed Bronze, Polished Gold, Polished Nickel, Polished Silver, Satin Nickel and Vintage Pewter. Mounting hardware is included. 100% lead-free pewter. Handcrafted in the USA.